This is Chilean Merlot in its purest form: plump, rich, silky and guilty of possessing copious amounts of ripe black fruits. This vintage spent a short period of maturation in stainless steel vats, with the idea of preserving all the juicy fruit this warm valley of Chile has to provide. The nose hints at black cherry and bilberry, with layers of silky blackberry on the palate underpinned by ripe tannins. This is a definite crowd-pleaser! 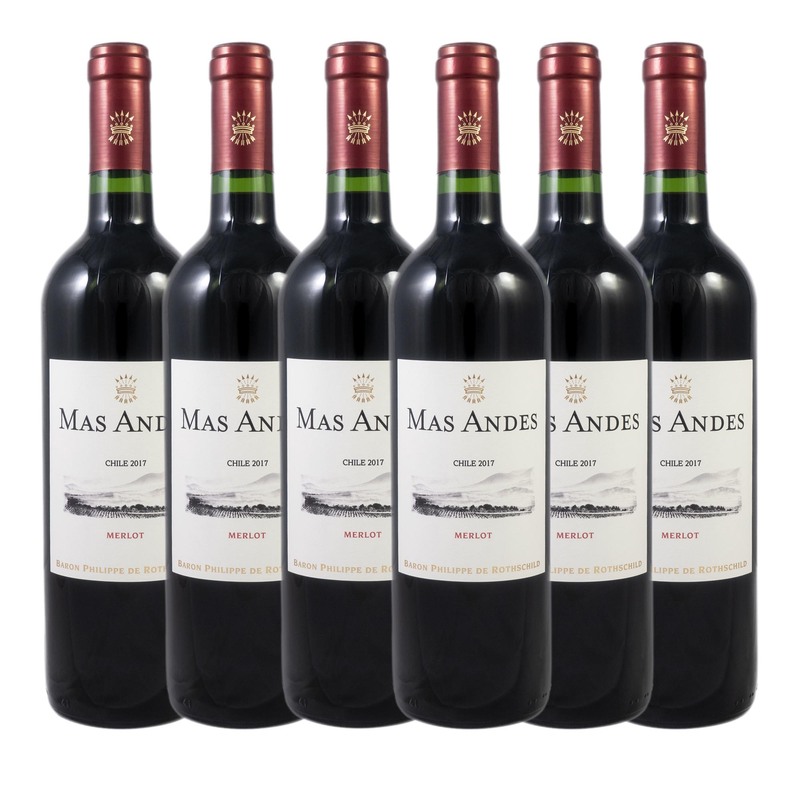 This case contains 6 x 75cl bottles of Mas Andes Merlot 2017.